This is a character study I've used with students as a prerequisite to character analysis. Students must complete the wall/timeline with the appropriate conversation that Buddy would have with Jerry. 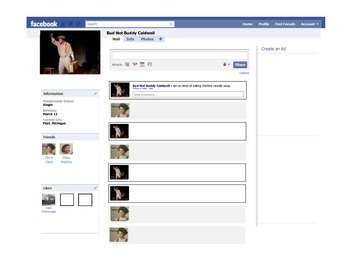 Students are also allowed to add any additional friends, or likes to the page.